Size: approx. 10-20 mm. Photo: 08/06/11, 7 pm. 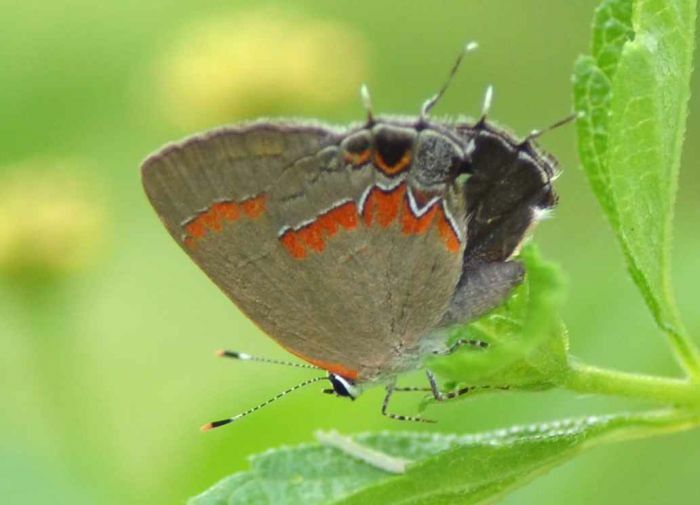 This is a very small butterfly called Red-Banded Hairstreak (Calycopis cecrops). 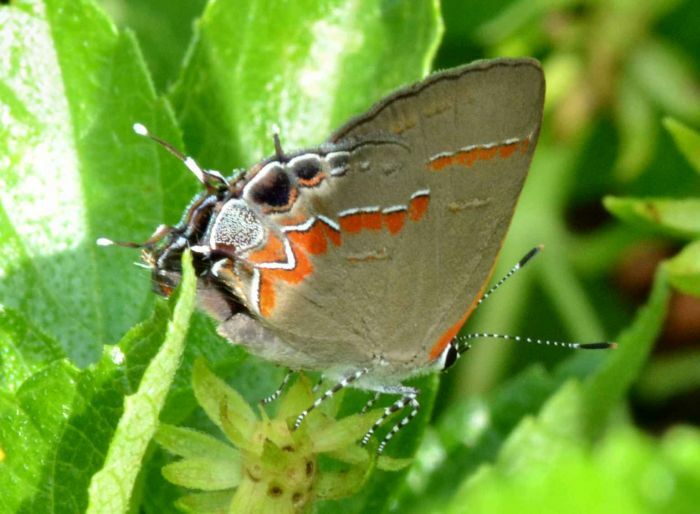 The genus has two species in North America but only one is likely to be found in Florida.